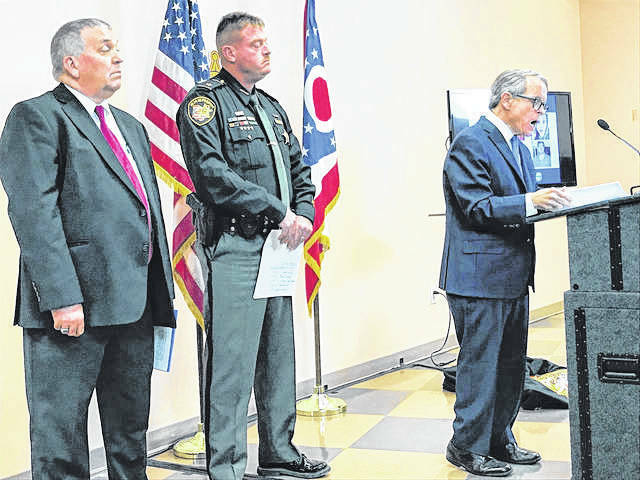 The Ohio Attorney General Mike DeWine is flanked by Pike County Sheriff Charles Reader and Pike County Prosecutor Rob Junk in 2018, as DeWine annouces the arrests in the long-running Rhoden murder investidation. Those were the words of then Ohio Attorney General, now Ohio governor, Mike DeWine in 2016, following what officials have described as the execution style murders of eight members of the Rhoden family at four different residences in Pike County on April 22, 2016. Over two years later, in November 2018, as most probably know, six members of the family of George Wagner III and Angela Wagner were arrested in connection with those deaths. 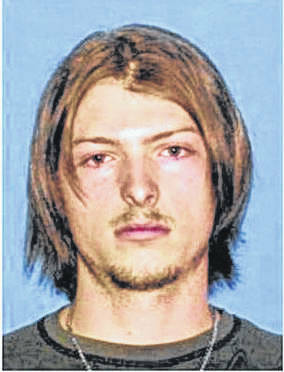 Four of the Wagners, including George Wagner III, his wife Angela and sons George Wagner IV and Edward “Jake” Wagner, each face eight counts of aggravated murder with death penalty specifications, as well as numerous other charges ranging from tampering with evidence to conspiracy to aggravated burglary and forgery. Two grandmothers in the family, Rita Newcomb, 65, and Fredericka Wagner, 76, also were charged with felony obstruction of justice and perjury, charges stemming from allegedly false testimony the two gave to a Pike County grand jury investigating the murders. 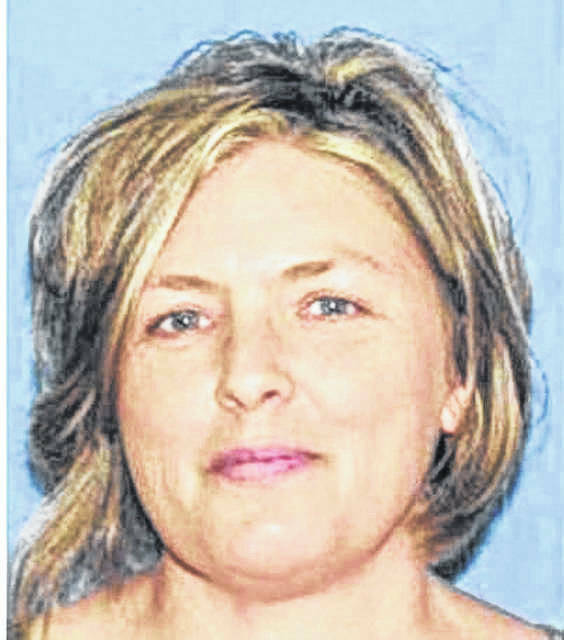 Newcomb also faces a count of forgery possibly involving child custody documents for the daughter of Edward Wagner and one of the victims, Hanna Rhoden. 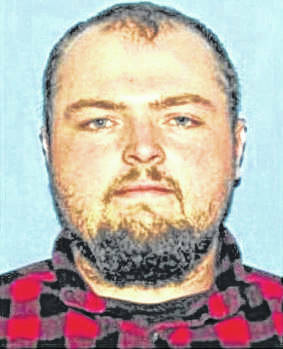 At the time of the arrests, during a press conference and prior to the imposition of a gag order by Pike County Court of Common Pleas Judge Randy Deering, DeWine said those child custody papers may be at the heart of the motive for the murders, adding there seemed to be a definite fixation on child custody on the part of the Wagners. Again, during the initial press conference following the arrest, DeWine said officials believe the responsible parties are now in custody and no other individuals were involved in the mass murders. Those who lost their lives on that April morning included: Hannah Gilley, 20; Christopher Rhoden, Sr., 40; Christopher Rhoden, Jr., 16; Clarence “Frankie” Rhoden, 20; Dana Rhoden, 37; Gary Rhoden, 38; Hanna Rhoden, 19; and, Kenneth Rhoden, 44. All the bodies were located on Union Hill Road just off SR 32 in Pike County, at three separate homes, except one which was located on Left Fork Road. All those murdered were adults except for a 16-year old boy, according to the Attorney General’s office at the time of the incident. Following the murders, DeWine said there were children in the house, noting a mother was killed in bed with a four-day-old infant. The children were put under the care of child protective services and presumably still are in state custody. In 2016, DeWine also stated all the victims were shot execution style in the head. In the course of the investigation, DeWine confirmed there was marijuana being grown at three of the four homes in which the bodies were discovered. During the press conference announcing the arrest of the Wagner family, DeWine declined to go into details regarding any alleged criminal activity by the victims. He did state there was “an undercurrent of drugs,” but also asserted this was, at its core, a murder investigation asserting there was a sophisticated, well-orchestrated plan to murder the victims and cover the perpetrator’s tracks, but by that plan, DeWine also contended, turned out not to be quite sophisticated enough. “This is the most bizarre story I’ve ever seen,” DeWine said. “It’s just amazing.” He said people will be shocked when they find out what actually happened. Even before imposition of the gag order blocking discussion of the case with the media, officials repeatedly stated they could not give extensive details regarding the case because of the ongoing prosecution. In a sort of holding pattern since late January, the story of the Rhoden family massacre is about to move into its next phase when the second round of pretrial hearings for all six suspects in the case begins Wednesday. Family matriarch Angela Wagner is slated to be back in front of Deering for a pretrial hearing 1:30 p.m. that day. 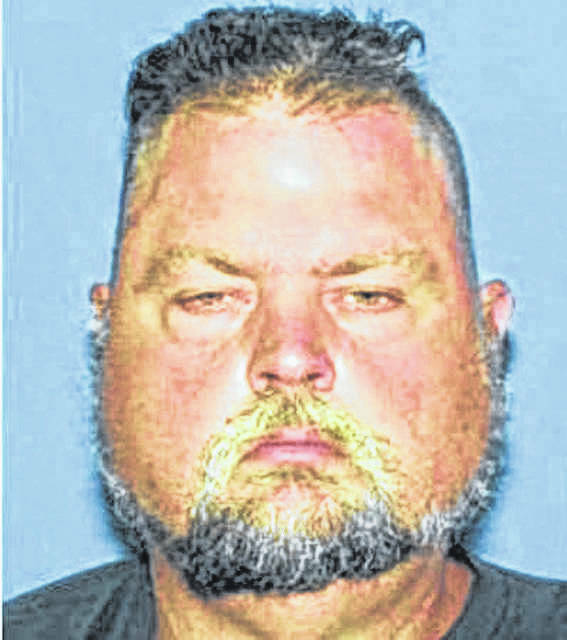 Pretrials for the rest of the suspects continue throughout the month of March and extend into April, when Edward Wagner will be back in court April 4. While little evidence directly related to the murders is likely to be presented during the pretrials, there are numerous issues which should or could be settled in the next month or so. There have been numerous, in fact, dozens of pretrial motions already filed by the various defense lawyers. One of the more notable and potentially highly impactful, asks for a change of venue in the case of Angela Wagner. Early on during the pretrials, observers seemed to expect most, if not all, of the Wagner family suspects to request a change in venue. So far, Angela Wagner appears to be the only suspect to do so. Deering has made no ruling on the motion for change of venue. There are at least two other motions likely to receive a ruling from the judge in the next month. The two Wagner grandmothers, Fredericka Wagner and Rita Newcomb, are the only Rhoden suspects not directly charged with the murders and subsequently released on bail. However, both have been under electronically monitored house arrest for several months. Defense attorneys for both women asked for modifications in the terms of their house arrests. Deering has not ruled on either request.